In the second episode of Interlogix Today, Warren returns to discuss the TruVision® Navigator platform with Richard. Single solutions are becoming the standard in security management and Interlogix has made it simple—bringing together video surveillance, access control, intrusion monitoring and networking into a unified system. The TruVision Navigator system is simple and easy to use, conveniently tying together all aspects of a system. Watch the second episode here. Today is a brand-new video web series that takes an on-going look into the innovative new products from Interlogix. The web series provides you with quick, practical and valuable insights into product features, benefits, and real-world applications. 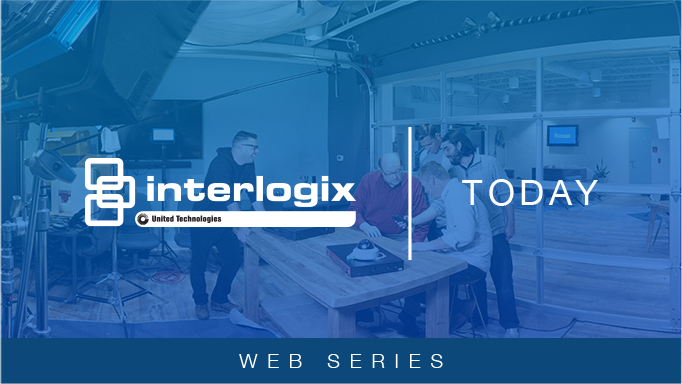 Watch conversations with experts as they share insights into how Interlogix products fit into every day lives and learn more about the newest Interlogix security, safety and lifestyle solutions available. Subscribe for all future Interlogix Today Episodes.